Light is not an exact science. Technology and the human element. Aesthetics and meaning. Why do we illuminate art? How do we shine light on it? Our project to light the dome of the Cathedral in Piacenza. Our project to light the works of art in Piacenza’s Farnese Palace. 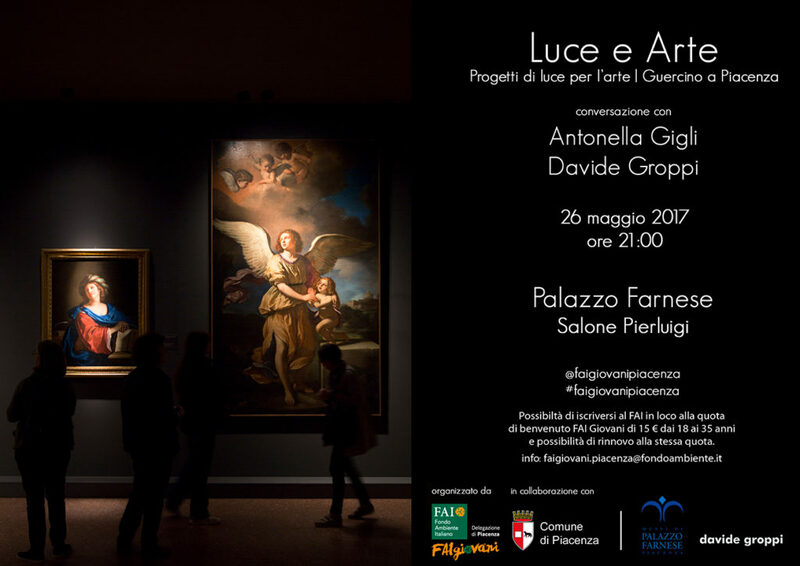 We will be discussing this and more with Antonella Gigli and Davide Groppi during an encounter organised by “FAI Giovani Piacenza” in reference to the “Guercino in Piacenza” exhibition.